Never seen a Temp. Signal in such terrible shape! (plus removed a few misc. parts here and there - Visors being the most easilly moved items!). Is that city nuts!?! I don't know about the walk buttons, but I believe the signal heads are all at 120vac! I see a huge lawsuit looming if anyone gets bit by that mess!! 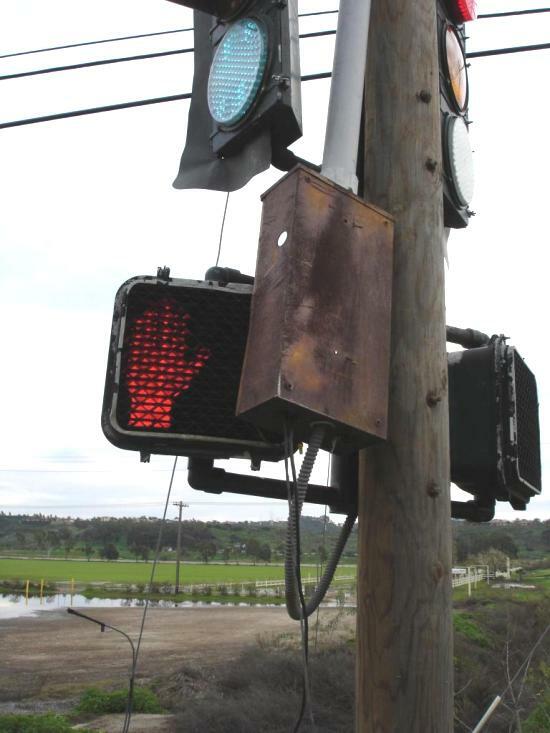 Hey Scott, are those LED heads on the traffic lights?. With all them missing covers, I'd hate to be near this lot during a decent rain-storm. How does a blind person find switches when they are installed like this?. I'm feelin' someone needs a good kickin' for equipment having such a poor standard of repair. 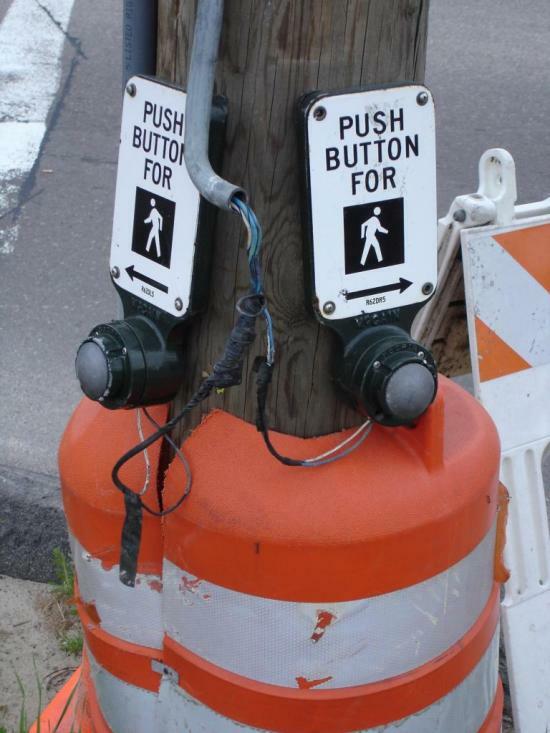 Push button for walk signal ? more like "touch button for death"
that's gotta be low votage at those buttons, doesn't it? ? ? Otherwise someone would have been fried by now right ? ? Is that a transformer in the second pic in the left hand enclosure. It's got a flexi-conduit running out of it in the down direction (nothing else on the pole appears to run down to the buttons). You should lodge complaint with whoever is in charge of fixing these. 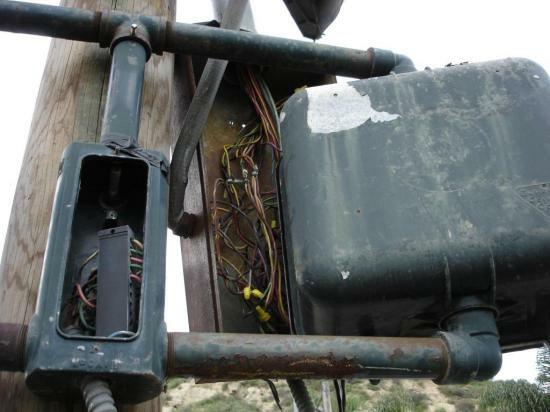 By the looks of it, the flex goes to the box we see the back of in the first pic (with PVC going to the top of the pole. I believe it is simply some sort of junction block in the left hand box in the second photo. Ryan S. mind if I copy this image over to the Signalfan Club to show them?